Getting involved in a student leadership position is a great way to contribute to your community, develop valuable interpersonal skills, and meet wonderful people. Exploring and building your career doesn’t only happen inside the classroom at university, learn how to share your knowledge and talents with others by taking the lead at UBC. Arts Peer Academic Coaches – Visit a coach, or apply to become a coach and assist other students. Arts Undergraduate Society – Attend an event or become a Student Coordinator. You might also be interested in getting involved with an AUS departmental or special interest club. 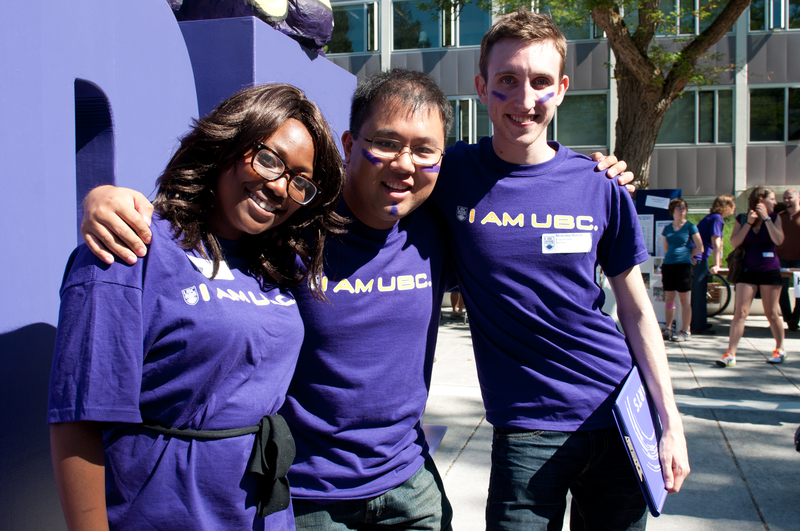 Orientations – Now looking for Imagine UBC Orientation Leaders! Apply here until June 30th. Peer Programs – Attend an event, visit a service or become a peer leader. For more opportunities on campus, visit the Centre for Student Involvement & Careers. Are you part of a student group planning to hold an event on campus? The Faculty of Arts can provide assistance with communications, recruitment of alumni, career related content or event management support. Fill out our student event submission form to let us know what you’re planning, and we’ll get in touch to see how we can best support you.